In the tutorial below we are going to explain to you in details – How to Configure OpenSSH on CentOS 7. Secure Shell or SSH is a protocol which allows users to connect to a remote system using a client-server architecture. The login session is encrypted and very secure. Today we are going to show you how to configure and use OpenSSH on a Linux VPS using CentOS 7 as an operating system. Configuring OpenSSH on CentOS 7 is a fairly easy task if you carefully follow the tutorial below. CentOS 7 provides,opensshopenssh-server and openssh-clients packages. 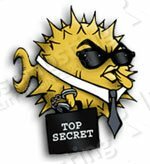 The openssh package requires openssl-libs to be installed on the system since it provides some very important cryptographic libraries. If you order a CentOS VPS Hosting with us you will have all these packages installed on your server. If not, you will need to install them manually. Once the packages are installed you are ready to connect to the server via SSH. The default configuration file for the sshd daemon is /etc/ssh/sshd_config and most of the settings for the daemon are defined in this file. Before making any changes, it is recommended to make a copy of the original configuration file so if you experience some problem you can revert the changes back the default. To view and edit the configuration file you can use a text editor of your choice. We are going to use nano because of its simplicity. You can use a port number of your choice which is not used by some other service on your CentOS VPS. Once you make the changes you can save and close the file. In order for the changes to take effect, you should restart the SSH daemon. To improve security even further, it is recommended to use key-based authentication. Key-based authentication will allow you to connect to your server via SSH without using the password of your system user. Instead, you will need to use SSH keys. For more information about how to log in via SSH without password using SSH keys we recommend you to read our dedicated tutorial. The SSH protocol allows other operations like copying files between two remote hosts to be completed in an encrypted and secure way. For that reason, you can use,scp a remote file copy program, and sftp which is an interactive file transfer program very similar to FTP. For more information on how to use scp and sftp you can read the user manual which is available at http://www.openssh.com/manual.html. We will cover this topic in some of our next Linux based tutorials. 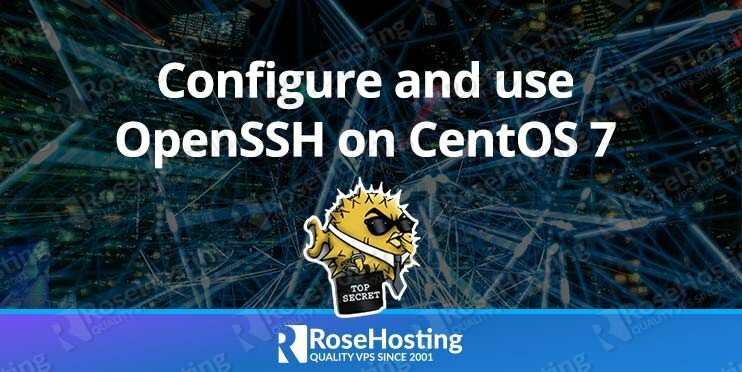 Of course, you don’t have to know how to configure and use OpenSSH on CentOS 7 if you use one of our CentOS 7 VPS hosting services, in which case you can simply ask our expert Linux admins to help you with the OpenSSH configuration and setup on CentOS 7. They are available 24×7 and will take care of your request immediately. PS. If you liked this post on how to configure OpenSSH on CentOS 7, please share it with your friends on the social networks using the buttons on the left or simply leave a reply below. Thanks. Could you please run systemctl status sshd.service and provide us with the output?